Q. 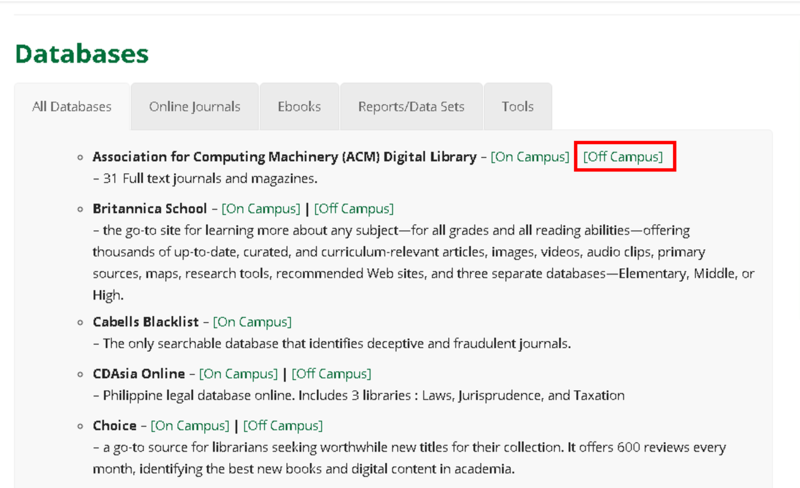 How can I access electronic databases off campus? 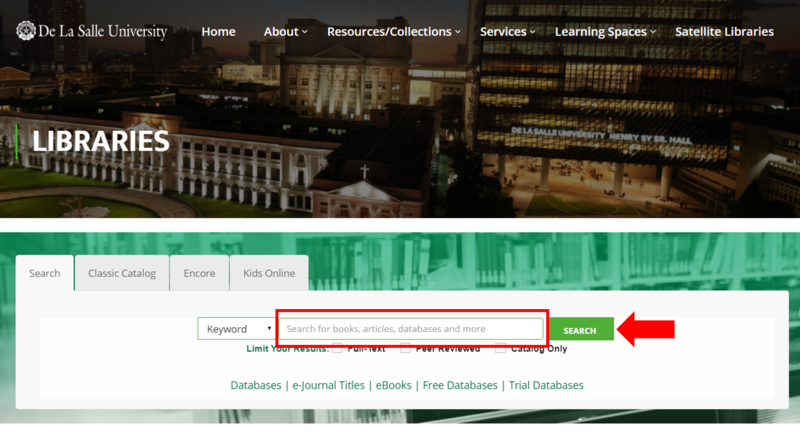 Hover the mouse over the Resources/ Collections tab and choose Databases or click the Databases link below the Discovery Service's search box. 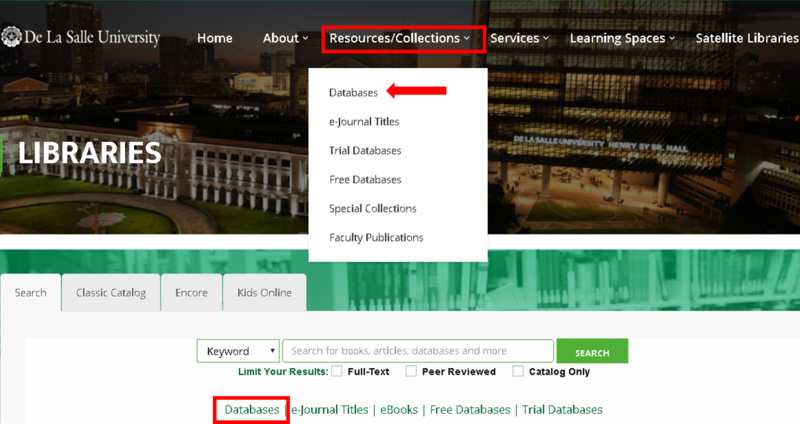 From the alphabetical list of databases, choose the database you wish to access then click Off Campus. You will now be directed to the database's homepage. Key in you search string in the Discovery Service search box then click Search. Click the Hello Guest. Login for full access link on top of the screen. You will then be redirected to the results page where you can access and download full text articles.